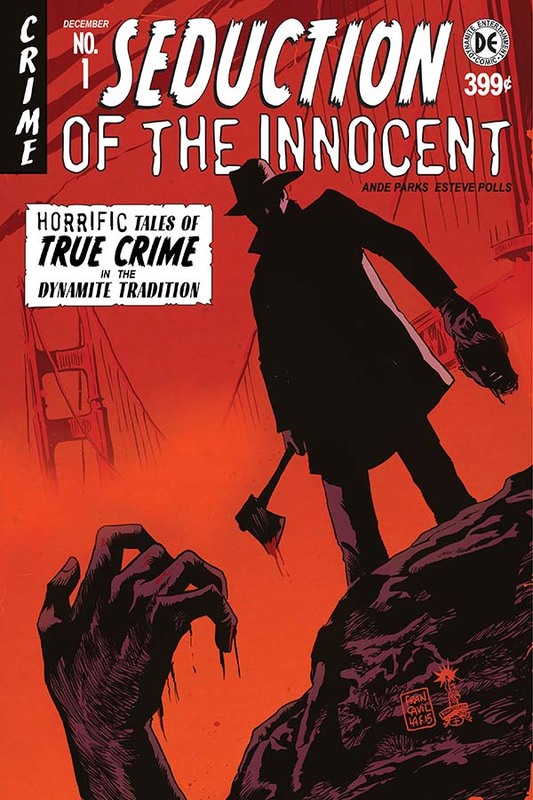 The Fellowship was fortunate enough to obtain a copy of SEDUCTION OF THE INNOCENT #1 from Dynamite Entertainment. Ande Parks writes, Esteve Polls draws, Salvatore Aiala Studios colors, and Simon Bowland letters. Jennings is a young FBI agent just arrived in San Francisco. Lucky for him (or maybe not) he has arrived in the middle of a killing spree – the city’s crime bosses are being murdered in their homes. His new team has more than its fair share of cynicism about its mission to fight organized crime, but even that may not be enough to prepare Jennings for what he’s up against now. This book oozes noir coolness. Jennings’ fellow agents are impressively jaded, which really sells the feeling of hopelessness, and Jennings’ green-ness is a stark contrast. And I’m not spoiling the bad guys, but they could make this story very, very interesting. The art really plays into that noir feel, too – the way it works the shadows, both in daylight and at night, has a chilling effect on the book. They call Jennings the Sharpshooter, and whether it’s intended scornfully or not, his world is about to get a lot darker. Get on board here at the beginning. 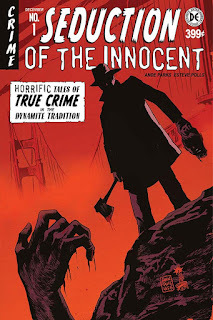 SEDUCTION OF THE INNOCENT #1 is available now at your FLCS or at dynamite.com.